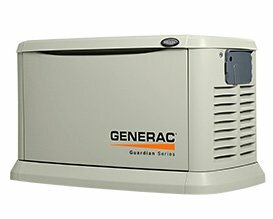 A Dallas generator installation has become a necessity as the weather turns more unpredictable every year. Natural disasters can happen almost anywhere in the world. When hurricanes, tornadoes and ice storms strike one of the first things to go are the power lines, and life turns to misery. RCS Electrical Services specializes in Guardian generator repair, Generac generator repair, Centurion generator repair, Kohler generator repair, Briggs and Stratton generator repair, and many other brands of generator repair. We are also certified to do Generac generator installation, Guardian generator installation, Centurion generator installation, Kohler generator installation, Briggs and Stratton generator installation, General Electric generator installation, and others. Contact us now if you are in need of generator service, generator maintenance, generator installation, or generator repair. Learn More About Generator Installation Costs For Residential Applications. These Prices Include Generator And All Labor And Material For Installation. A Dallas generator installation will avoid all these inconveniences, and afford you the protection you need in a time of emergency. 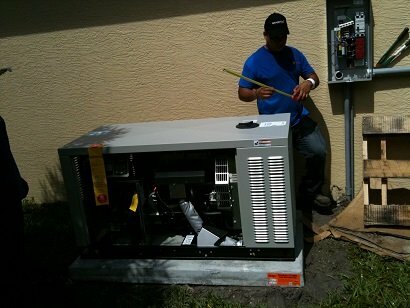 RCS Electrical Services offers a complete solution for your Dallas generator installation. We handle the entire project, so that you have peace of mind in the knowledge that you have a single point of contact for all questions and concerns. Your Dallas generator installation experts need to know your current electrical load or usage. This information is used to size a generator that can provide the amount of power you need. In order to do this, you must submit some information related to the size of your home or building, your current electrical equipment, and a list of your small appliances. When you ask us to do your project, you can be assured that we don't take the fact that you chose us lightly. We will work for you employing the best techniques, materials, parts and equipment so that your installation has the quality you and your family deserve and expect from your Dallas generator installation professional. Your Dallas generator installation comes with world class customer services. RCS Electrical Services has done generator installation for two major national retail stores; The Home Depot, and Lowe's. During the time that we installed for these stores, we interacted with many different customers. By having this daily interactions, we learned valuable lessons in customer service. Addison, Balch Springs, Cedar Hill, Carrollton, Cockrell Hill, Combine, Coppell, Dallas, DeSoto, Duncanville, Farmers Branch, Ferris, Garland, Glenn Heights, Grand Prairie, Grapevine. Grapevine, Highland Park, Hutchins, Irving, Lancaster, Lewisville, Mesquite, Ovilla, Richardson, Rowlett, Sachse, Sand Branch, Seagoville, Sunnyvale, University Park, Wilmer, and Wylie.